You've got a choice of four basic business structures - sole trader, partnership, company or trust. Of course, there are also more sophisticated structures out there, but most possible structures are essentially hybrids of two or more of these basic four. Which structure is best will depend on a few considerations. Do you want to stay small and work from home? Will you need to employ staff? How long will you stay in business? Will you have a partner or partners? What is your market? Will you need to chase start-up capital or obtain funding from a bank or other source? Of course you can always change business structure as your enterprise changes and grows, but it is helpful if you understand the costs involved in making this change and some of the impediments that may arise. For many businesses. the growth plan may well include changing to a different structure at a key point in the future - for example, if you plan to expand overseas. Ultimately, the business should be in the structure that is most appropriate in each stage of its life cycle. Luckily, eligible small businesses can now restructure without any tax consequences under some new CGT laws recently introduced by the government. Difficulties can arise moving to the next level of business. Business owners are often not aware that they are passing different threshold tests for tax obligations, such as GST, PAYG withholding and payroll tax. Growing a business is satisfying, but more so when the tax and regulatory consequences have been carefully considered. Although the choice is yours, it may help to know how each structure will affect the way your income is taxed, your operating costs, how you will be able to protect your assets, and how clients and other businesses will deal with you. Another thing to keep in mind is how easily a structure may make a future restructure. To be a sole trader is the simplest business structure, and as the name implies you will be operating the business in your own name, and will control and manage all aspects of your business. For tax purposes, your personal financial affairs and your business's affairs are one and the same - there is no separation. The sole trader structure is inexpensive to set up and there are few legal formalities. but you will need an ABN (Australian Business Number). You receive the full benefit of any profits. and keep all after-tax gains when you sell­ up (see below for more). However, you also personally bear the full brunt of any operating losses. Access to finances is limited to your own resources, and you are legally responsible for everything the business does. You also put private assets at risk. such as your house or car, if the business goes into serious debt and these private assets are targeted in any debt collection efforts. if you decide to take on an employee, you'll need to pay 9.5% of their ordinary time earnings into their super fund as well as PAYG withholding. Also note that amounts of money you take from your sole trader business are not wages" for tax purposes, even though you may consider this the case, so you can't claim a deduction for money you "draw" from the business. This arrangement sees you carrying on business with one or more other people, and receiving income jointly. There are more shoulders to bear the burden, but also more people to share profits. losses and responsibilities. A greater chance of legal dispute between the business partners themselves also exists (when compared to a sole trader). Partnerships are still inexpensive to set up, and there will likely be greater financial resources than if you operated on your own as a sole trader. On the flip side however, you and your partners are responsible for any debts the partnership owes, even if you personally did not directly cause the debt. This means that where one partner refuses to pay a debt of the business, the other partner is still liable for the whole amount of that debt. Each partner's private assets may still be fair game to settle serious partnership debt. This is known as "joint and several liability" - the partners are jointly liable for each other's debts entered into in the name of the business, but if any partners default on their share, then each individual partner may be severalty held liable for the whole debt as well. 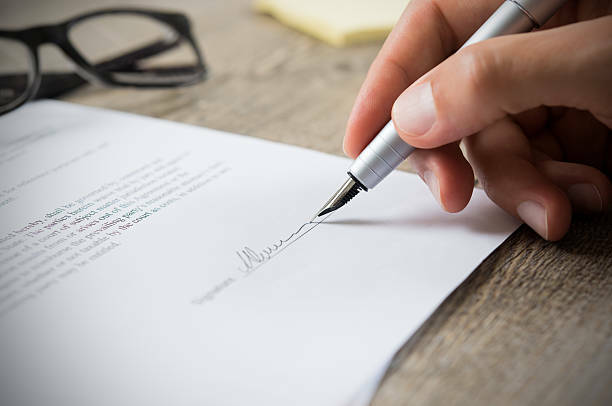 A written partnership agreement may not be legally required in every state and territory, but these agreements are usually inexpensive and will clearly set out the terms of the partnership (which reduces the risk of a future dispute). personal contributions may still be deductible. and any eligible employees of the business will still need to be covered for the compulsory super guarantee. Again, money drawn from the business 1s not "wages" for tax purposes. As with any business, the partnership will need an ABN and will need to register for GST if the business's annual turnover is more than $75,000 (before GST). Operating your business as an Incorporated company will transform your enterprise into a separate legal entity. This more complex business structure is usually more costly to set up and administer. and will also come under the regulations of the Australian Securities and Investments Commission (ASIC). A company will have far greater access to capital as shares can be issued to potential shareholders in exchange for funding. Shareholders and directors are not generally liable for the debts of the business beyond the amount of capital they have contributed, therefore asset protection is one advantage of this structure because creditors cannot, in most cases, go after a shareholder's or director's personal assets, only the company's assets. The company will pay its own tax on its own profits at a company tax rate (see below). But tax reporting requirements are more onerous than those for a sole trader or partnership, and minority shareholders have little say in the running of the business unless they hold a directorship or are in senior management. if you receive wages, director's fees or dividends. these need to be shown on your individual Income tax return. If you are a shareholder in the company then you are entitled to receive dividends on which you will pay tax. Just be aware that ii the company makes loans or payments to you, or if you take company assets for yourself, the law may treat these transactions as unfranked dividends, and they'll be taxable to you as such. unless they are formally converted into interest­ bearing loans. As outlined above, ordinarily a director is not liable for the debts of a company. However, several obligations, like superannuation owed to an employee, bypass this rule. This means that where the company doesn't pay these debts, the ATO will make directors of the company personally liable for them. The way a trust operates can be described as an obligation or a promise, where a person or a company agrees to hold income-earning assets or property for the benefit of others. A trust formalises this obligation. The one who legally holds the assets is the trustee. Those who benefit from the income are the beneficiaries. One basic outcome of a trust is to separate legal ownership and control (which the trustee has) from beneficial ownership (which the beneficiaries hold). A natural result from this is increased asset protection, as the beneficiaries' personal finances are not put at risk by the business, since the business assets are legally owned by the trustee and not by the beneficiaries. Be mindful that this is a legal relationship, meaning that, unlike a company, the creation of a trust does not create an entity that can generally be sued in its own right. The exception to this general rule is taxation - for tax purposes a trust is seen as a separate entity. The most common variety of trust is a discretionary trust - such trusts give the trustee flexibility as to who distributions of income and capital can be made to. Setting up a trust can be more expensive, and administrative paperwork potentially more complicated. the trust's beneficiaries, via their individual returns, pay tax on their share of the trust's net income "distributed"
PAYG withholding and other obligations also apply if the trust hires employees for its business. If the trust holds on to income, you as trustee will be assessed on that income at the highest individual marginal rate. If the trust carries on a business. all income earned and claims for expense deductions must be shown on a trust tax return, which will also show the amount of income distributed to beneficiaries. No one structure will suit all business types. Each individual business will have different requirements and growth plans. However, a consideration of what structure a business takes at the outset can minimise costs and risks to the business in the future. balancing the need to streamline the tax affairs of the business with the protection of the business and personal assets of the individuals involved. This overview of basic structures is however general in nature, and you should consult with a qualified accountant if you are considering a new business venture or changing an existing one. This will ensure that the right structure for your business is put in place.